One of the most important parts on your car is the muffler. 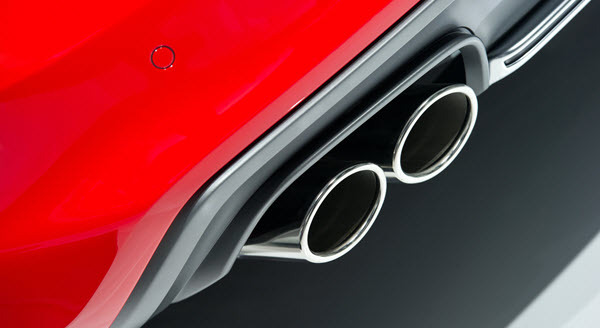 Located under the rear of the car, it is essentially the exhaust system of your vehicle’s engine. The muffler helps reduce the amount of noise produced by your engine as well as also controlling the backpressure of the engine, which improves the endurance and performance of your car’s engine. Backpressure is created by the engine’s valves moving in all possible directions and colliding and cancelling each other out, with an old or poorly maintained muffler, this can have a considerable impact on your engine’s performance. With such important jobs, keeping your muffler well maintained is essential to preventing unnecessary stress and damages to your engine and exhaust system. There are telltale signs to look for that your muffler may be in need of repair or to be completely replaced and being able to recognize them early is essential to preventing incidents. Here are some of the most common problems your muffler can encounter and the signs you can recognize to make sure you can have it looked at by a professional service center immediately. Rust– The most common issue in a muffler is that they tend to rust over an extended period of time due to the water that collects inside the exhaust system. The system won’t get hot enough for the water to burn off so it turns into condensation and then rust. Areas with high levels of rain and snow as well as salt like near the beach can also lead to rust in the muffler. Holes/Loose Parts– Another common problem is holes or loose pieces in the exhaust system. This can occur when a car hits a pothole or a rock is kicked up from underneath the vehicle, which can lead to a crack in the muffler. If this happens, then your exhaust pipe or muffler may need to be completely replaced. Louder than usual– The first sign to look for is that your engine will sound much louder while it’s running. Any issue with the muffler can produce a louder, whining sound from the engine even when your vehicle is just idling. If your car is sounding louder than normal, take your vehicle to a professional mechanic as soon as possible to prevent damages to other vital areas of your car like the catalytic converter among others. Lower Fuel Efficiency– When your engine and exhaust system are up to date and properly tuned, one benefit is a better fuel economy and gas tanks that seem to last a little bit longer. If you notice yourself needed to refuel more and more frequently, then this is a sign that there may be something wrong with the exhaust system/muffler. Condensation in the Exhaust Pipes– You know that the muffler can rust due to the build up of condensation in the muffler and in the exhaust system over time. 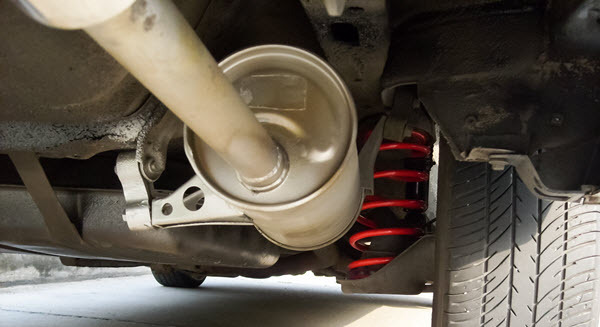 Over time and through all the constant warming up and cooling down cycles, your muffler may start to leak exhaust gases and if you notice excessive condensation leaking from your exhaust pipe, especially during warmer periods of the day, this can be a sign of your muffler beginning to wear out. Bad Smells– Your muffler will work to take exhaust fumes out and away from your vehicle, if there’s a leak or other type of issue, those fumes may be leaking into your car. Over time exhaust fumes can be fatal so it’s important that if you begin to smell any unusual smells, that you take your vehicle in as soon as possible. In the event you notice any of these symptoms such as your vehicle sounding louder or whinier than usual, it’s important that you take your car in to be serviced and inspected by professionals as soon as possible. With how important your muffler is to the exhaust system and your entire engine, keeping your car well maintained with annual inspections and tune-ups will keep your exhaust system functioning at a high performance level and will make finding any wear and tear or holes and damages in the muffler easier and sooner to prevent further or larger and more critical damages to various components of your vehicle. Visit your local mechanic or service center to schedule an appointment for service or a routine inspection of your exhaust system.